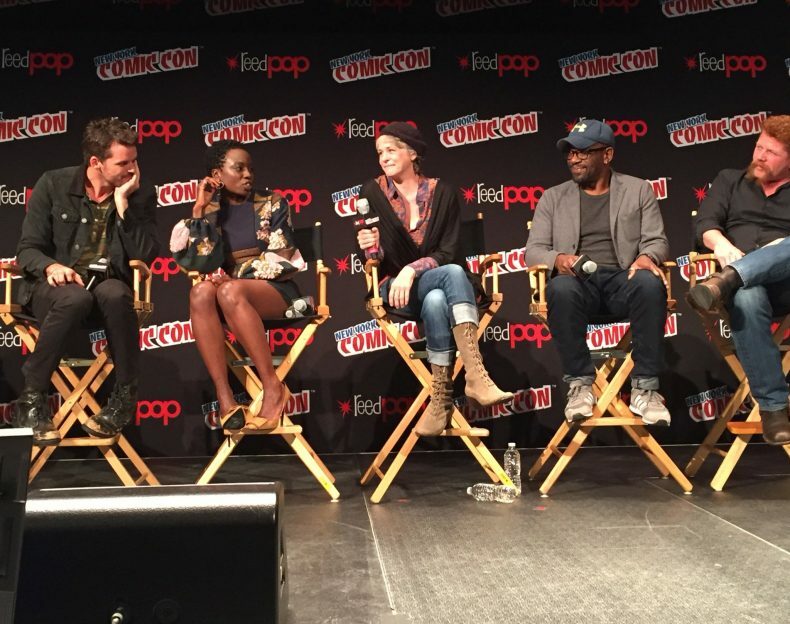 The NYCC Walking Dead panel was held earlier today. In attendance were showrunner Scott Gimple and all the major cast members from the series. Jeffrey Dean Morgan doesn’t think the villainous Negan is that different from most of the other characters. “To have somewhere to go, you have to believe in what you’re doing. What he is doing is essentially the same thing these people are doing. He just happens to carry a baseball bat who he loves dearly.” Rick’s got a kid, Glenn’s got a wife, Negan’s got a bat.